I don't own very many maxi dresses, but I definitely think I should invest in a few more. They are comfortable, chic, and can be worn so many ways for day or night. 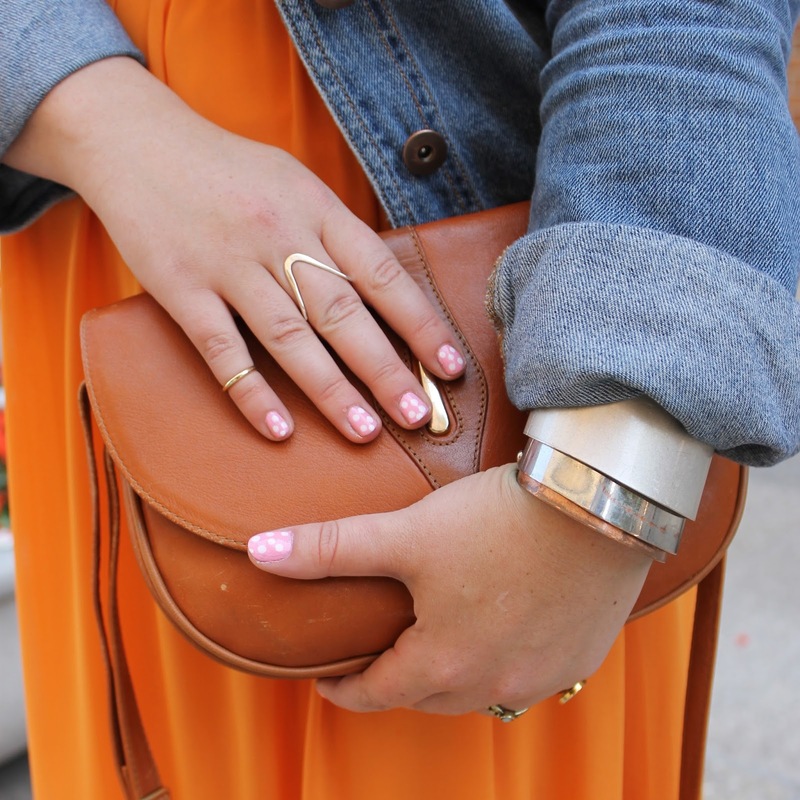 I love the citrusy color of this one and kept it simple with a denim jacket and some sandals for brunch in the city with my SF blogger friends- easy peezy! Hope everyone is having a great week! Also--stay tuned for a new recipe tomorrow! Woo! I always love when you wear this dress! The colors are so perfect for you -- bright and cheerful! ooo pretty dress! 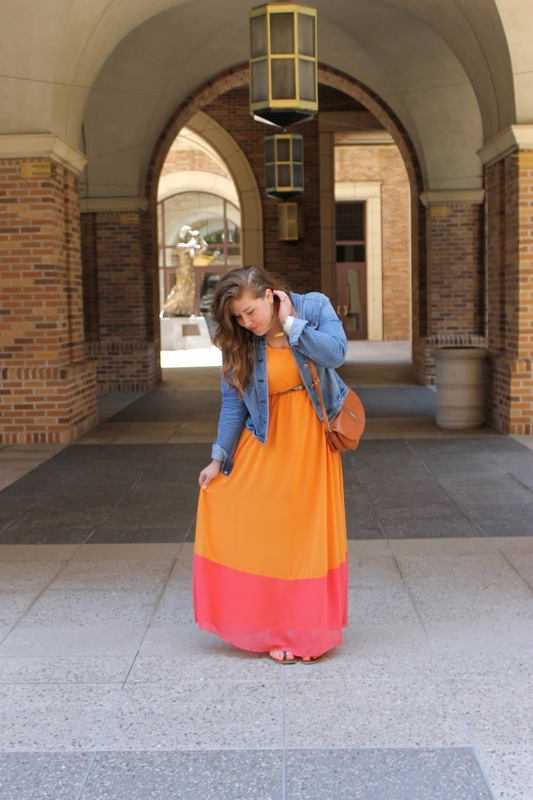 I've been wanting more maxis...Forever21 here I come! 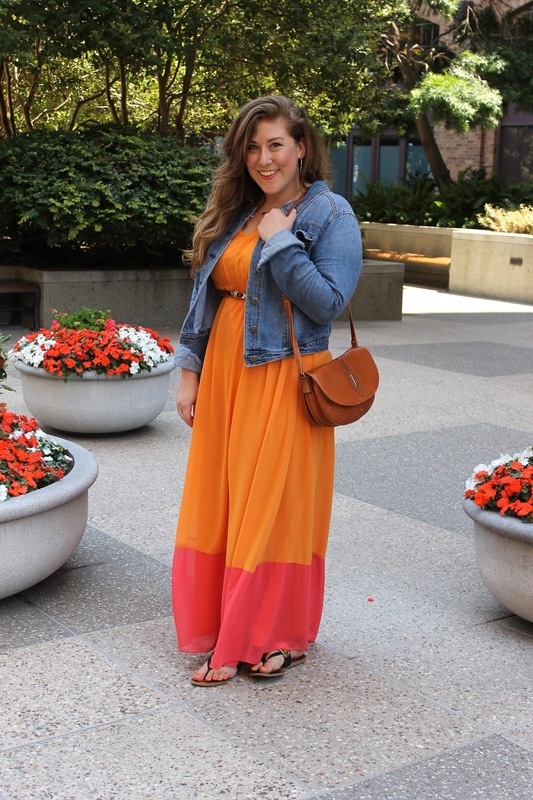 I love the colors of this dress and it looks great on you! I don't wear many maxi dresses either, but always get a ton of compliments when I wear one so maybe I should invest in some more too! Such a easy look but still put together! This looks so pretty on you and complimentary of your hair and skin tone! Beautiful!